Whatever your vision needs, we devote every day to providing exceptional quality eye care to patients throughout Southwest Florida. 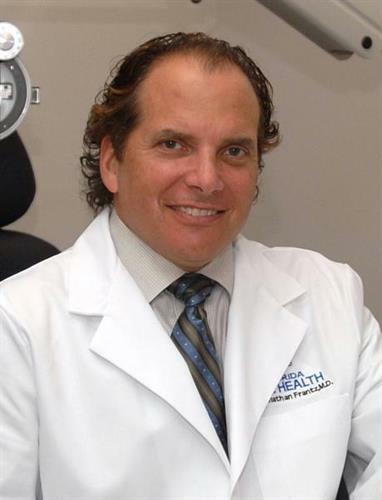 Dr. Frantz is the first and only surgeon in SW Florida offering Bladeless Laser Cataract Surgery and Bladeless iLASIK. We are ready to serve you in our five conveniently located offices in Punta Gorda, Fort Myers, Cape Coral, Lehigh Acres and Naples. You'll be pleased to learn that we provide a full range of optical solutions including contact lenses and a nice variety of fashionable eye wear. You'll also find that our prices are surprisingly affordable. We know that everyone is concerned about managing expense these days, so you'll be pleased to know that we can offer flexible payment options for your eye care procedures. We look forward to connecting with you online, on the phone or in person. We genuinely welcome your calls even if it's just to ask us questions about a particular vision concern. You can reach us at 941-505-2020. If you are ready to make an appointment, you can either call 941-505-2020 or visit our website at www.bettervision.net to schedule your appointment online. You can also save time during your first visit by downloading and completing your patient registration forms in advance. You will find the forms on our web site. Easily found in downtown Punta Gorda on Taylor Street, near the Convention Center. You can see our office as you drive north on #41 toward the Peace River Bridge.